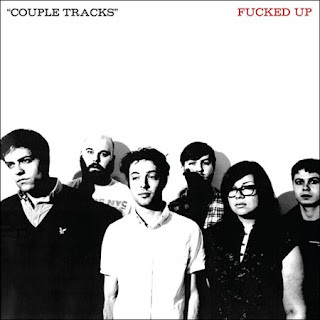 For those unfamiliar with the workings of Canadian retro-punkers, Fucked Up, they have a LOT of singles. In 2004, they put out a compilation titled, Epics In Minutes, which is out on Deranged Records. Matador is putting out their SECOND singles compilation, Couple Tracks: Singles 2002 - 2009, in late January on both double vinyl or double disc with a 7” added for comfort. “Neat Parts” was posted back in November and will of course be included in the compilation. According to the information I gleaned from Matador, this single was originally released on the Triumph Of Life 7” back in 2006.